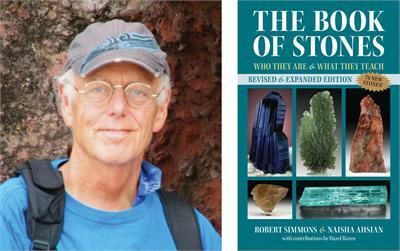 Join Robert Simmons, author of Stones of the New Consciousness and The Pocket Book of Stones, and co-author of The Book of Stones and Moldavite: Starborn Stone of Transformation, for a four-day experiential weekend in beautiful Vermont! Click HERE to read Robert Simmons' NEW Essay about the Alchemy of Stones! 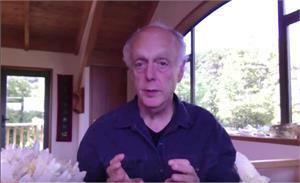 Click HERE to watch Robert Simmons' NEW YouTube Video about the Alchemy of Stones! Throughout this Intensive, we will work hands-on with a wide array of crystals and minerals selected from the 400+ crystals gemstones and minerals described in the new Revised and Expanded Edition of The Book of Stones. In this highly experiential Stone Intensive, we will spend a large portion of our time actually experiencing the stones, and learning how to work in partnership with them. We will learn how to attune to the Body Consciousness in ourselves which is able to relate directly with the Stone Beings. We will open ourselves to receive new insights and inner guidance from the angelic realm, and we will practice centering ourselves in Heart Awareness. Tuition is $395 per person for all four days (plus room and board). In the spirit of generosity, Heaven and Earth, the sponsoring organization, will give each participant gemstone gifts valued at over $500. For Workshop Registration, please call (802) 476-4775, or register below. Cancellations will incur a $200 fee. For cancellations less than 30 days before the event,there will be no refunds. WE ENCOURAGE EARLY BOOKINGS, AS OUR LAST INTENSIVE WAS SOLD OUT MONTHS IN ADVANCE! *ROOMS: Most participants should plan on spending four nights (Wednesday, June 15 through Saturday, June 18) at the hotel. Additional nights can be added if desired. 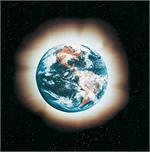 The Intensive will end after lunch on Sunday, June 19. Special group rates for rooms will be $169 per night, plus taxes and applicable fees. They can be for single or double-occupancy. For reservations, please call the Hilton at 1-800-445-8667 (use Group Code “AOS”). MEALS: The Meal Package will include breakfast, lunch and dinner Thursday through Saturday and breakfast and lunch on Sunday. Package price for meals will be $360 and can be booked with Heaven & Earth at 802-476-4775 or during Online Registration below.